Eric Craven is the Community Development Librarian at the Atwater Library and Computer Centre in Montreal, where he also did his graduate studies in Information Science at McGill University. Eric’s work focuses specifically on using digital media to disrupt normative expectations and perceptions in the community. Eric has spent the past 6 years coordinator of the Digital Literacy Project to create programming that directly responds to community needs, helping participants learn to express themselves, find new ways to talk about things important to them, and to help them build their own communities with digital tools. Eric has worked with a wide range of academic and community stakeholders bringing diverse groups of people together, ages 6 through 96, to express themselves through digital art and media. Eric has collaborated with members of the ACT community for many years including several community new media projects focusing on seniors and digital music with Dr Line Grenier. 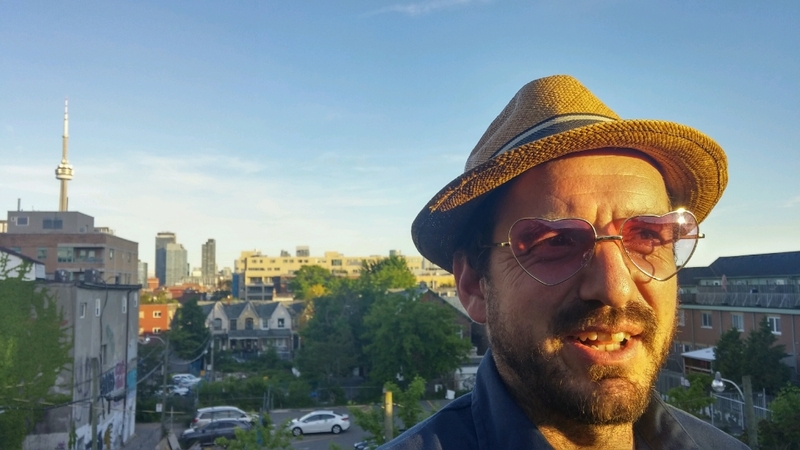 As well as working with communities and digital culture, Eric is also a musician and composer who has been working in the Montreal music scene for the past two decades. You can see him featured in the 2013 documentary And We Made the Room Shine, which follows the adventurous Constellation Records label to the 50th Vienna International Film Festival, and which was part of this year’s Viennale.